Explore the categories below to find out more about the variety of exciting jobs in the laboratory science field! There is a hierarchy in a clinical laboratory. Phlebotomists (PBT) perform blood specimen collection. Medical Laboratory Assistants or Aides (MLA) focus on specimen receipt, preparation, and simple testing, which frees up Medical Laboratory Technicians (MLT) to perform routine, usually larger volume testing. The Medical Laboratory Scientists (MLS)and Medical Laboratory Specialists (MLSp) are then able to perform advanced test procedures and interpret diagnostic test results. The Doctorate in Clinical Laboratory Science provides consultation services as the liaison between the clinical laboratory and professionals treating the patient. The Pathologist is responsible for a patient’s diagnosis. Each position relies on the other positions in the laboratory to provide quality results and optimal patient outcomes. Histopathology, which involves examination of intact tissue from biopsy or surgery under the microscope. This is often aided by the use of special staining techniques and other associated tests, such as using antibodiesto identify different components of the tissue. Cytopathology (cytology), which is the examination of single cells or small groups of cells from scrapings or aspiration of fluid or tissue under the microscope. A common cytology test is the cervical Pap smear. Cytotechnologists often screen preparations and report results but, in many cases, the pathologist gives the definitive diagnosis to the healthcare practitioner. ​Public health focuses on the well-being of a community. Professionals who work in a public health laboratory are the first level of response when it comes to questions about the safety of the environment and people around you. 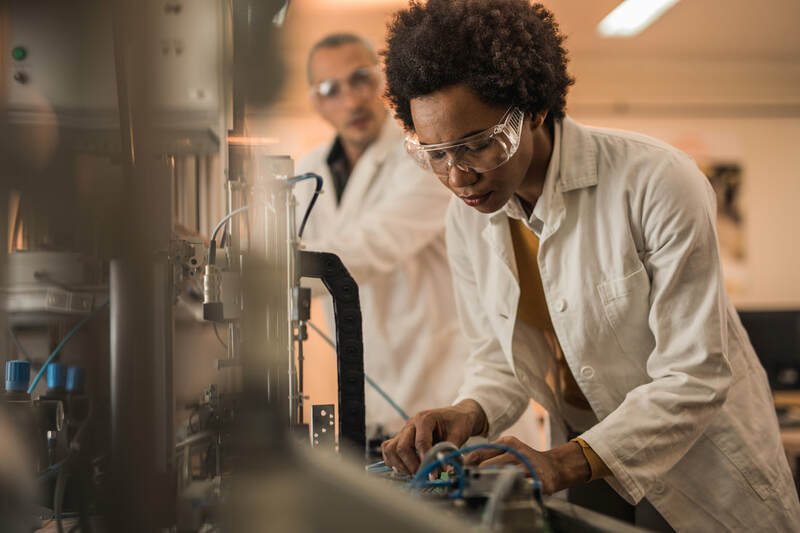 ​Laboratory industry partners provide support to laboratories related to scientific instruments, testing methods, and installation and training on these products so that laboratories can provide quality test results. 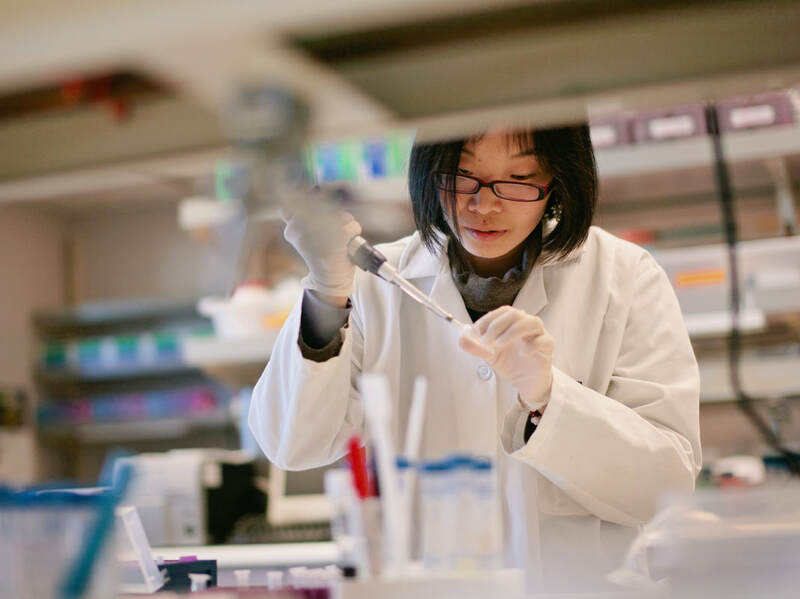 ​Research laboratories are workplaces that specialize in scientific research, such as applying new laboratory methods for detecting analytes, or formulating new antibiotics. 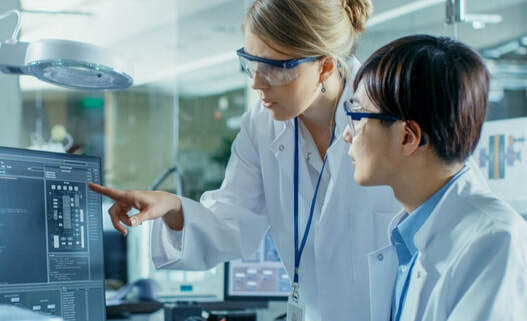 There are three research laboratory sectors: academic laboratories, government laboratories, such as the National Institutes of Health, and private sector laboratories, such as pharmaceutical companies. ​Laboratory educators ensure the education and training of the next generation of laboratory professionals. 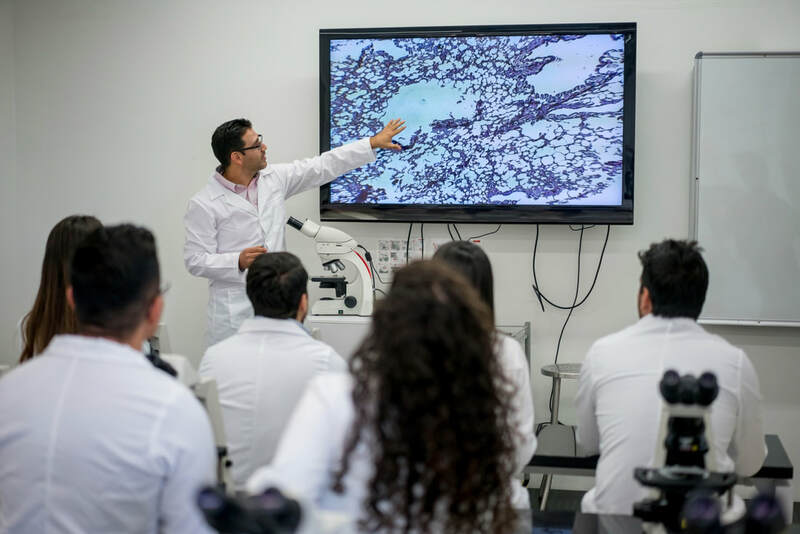 In carrying out of this mission, they identify trends and strategies in laboratory medicine, enhance their teaching skills, and develop innovative ways to teach students. 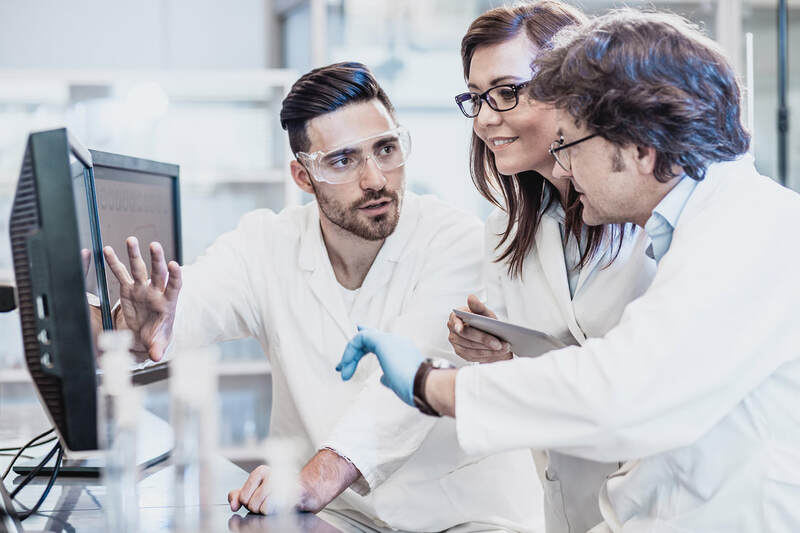 Medical Laboratory Scientists (MLS) are vital healthcare detectives, uncovering and providing laboratory information from routine to complex laboratory testing that assists doctors in patient diagnosis and treatment, as well as in disease monitoring or prevention. Examples of routine laboratory testing include hematology, chemistry, and microbiology. Examples of complex laboratory testing include molecular diagnostics, flow cytometry, and toxicology. As a Medical Laboratory Scientist, you will be responsible for performing tests to analyze blood and other body fluids, tissue, and other substances, interpreting the results, and generating accurate reports. You will operate and troubleshoot sophisticated laboratory equipment and use state-of-the-art technology to determine if a person is having a heart attack, has diabetes or cancer, or has an infection caused by bacteria or viruses. You may be involved in other aspects of the laboratory including supervision, assuring quality, safety, process improvement, or as a member of a clinical care team. You may work in a hospital or clinic laboratory, but your education and experience prepares you for positions in laboratory information system (LIS), infection control, public health, research, and industry. A baccalaureate degree, specialized training in an approved program for medical laboratory science, and national certification as a MLS is required to become a Medical Laboratory Scientist. 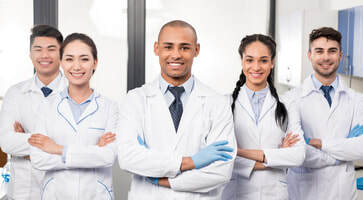 Medical Laboratory Specialists (MLSp) have the same responsibilities as the MLS, but have increased knowledge and skills in one specialty area, such as microbiology, hematology, blood bank, or chemistry. MLSp are more likely to work in complex laboratory settings, including molecular diagnostics, flow cytometry, cytogenetics, toxicology, clinical immunology and immunogenetics, and endocrinology. You may be involved with hospital-wide committees such as Infection Control, Patient Safety, Pharmacy & Therapeutics, or Blood Product Utilization. A baccalaureate degree, specialized training, additional experience in a specialty, and national certification as a Specialist is required to become a Medical Laboratory Specialist. Medical Laboratory Technicians​ ​(MLT) are vital healthcare detectives, uncovering and providing laboratory information from routine laboratory testing that assist doctors in patient diagnosis and treatment, as well as in disease monitoring or prevention. As a Medical Laboratory Technician, you will be responsible for performing tests on blood and other body fluids, either using manual methods or highly sophisticated laboratory equipment, usually under the supervision of a pathologist or medical laboratory scientist. The test results you generate will help determine if a person is having a heart attack or has diabetes or cancer. You will most likely work in a hospital laboratory or in a doctor’s office clinic, although you may work in public health, research, and reference laboratories. An associate degree, specialized training in an approved program for medical laboratory technicians, and national certification as a MLT is required to become a Medical Laboratory Technician. Medical Laboratory Assistants or Aides (MLA) are the helpers in the laboratory. As a Medical Laboratory Assistant, you are responsible for receiving and preparing specimens for laboratory testing. You may be called upon to perform simple diagnostic tests under supervision, and ensure that the laboratory is stocked with necessary supplies, under the supervision of a Medical Laboratory Scientist. Youwill most likely work in a hospital laboratory, although you may work in public health, research, and reference laboratories. Some employers train their own MLAs, and there are formal training programs available in vocational or community colleges. Phlebotomists (PBT) are the face of the laboratory, as you may be the only laboratory professional the patient sees. As a Phlebotomist, you are responsible for properly drawing blood from patients and delivering the samples to the laboratory for testing, usually under the supervision of a Medical Laboratory Scientist. You will have opportunities to meet new people daily and, depending on your setting, may draw blood from people of all ages, from babies and children to adults and elderly patients. You will most likely work in a hospital laboratory, although you may work at drawing stations for reference laboratories. Some employers train their own PBTs, and there are formal training programs available in vocational or community colleges. Professionals who obtain a Doctorate in Clinical Laboratory Science ​(DCLS) provide advanced laboratory practice. As a DCLS, you will be responsible for providing consultative services and laboratory expertise to physicians, nurses, patients, and the public. You may participate directly in patient care decisions as part of a patient care team by providing accurate and appropriate laboratory information, and having a positive effect on patient outcomes. You will most likely work in a hospital laboratory, although your expertise prepares you for many roles. A Doctorate in Clinical Laboratory Science, which includes specialized laboratory training, and national certification is required to be a DCLS.